As we explored in our April 27, 2018 blog post, “Shared Hosting – What it is and Why You Should Go for it,” shared hosting can be ideal for a young business in need of an economical solution for website hosting that provides many of the advantages of a dedicated server. However, as your business grows, a shared hosting solution may no longer be enough – with the expense of a dedicated server still out of reach. Fortunately, as in the children’s story, “Goldilocks and the Three Bears,” a virtual private server (VPS) could be the virtual bowl of porridge that’s just right for you! A VPS hosting environment mimics a dedicated server within a shared hosting environment. It partitions physical servers into multiple virtual servers, each having the ability to run its own operating system (OS) and applications, and provides root access. If your bandwidth usage is high and your website seems slow to perform, you may need more resources than a shared website hosting plan provides. Shared hosting means you share everything – so you’re restricted in how large your website can grow, and your available resources (disk space, bandwidth, etc.) can be affected by traffic flow and bandwidth use of other websites running on the same server. With VPS hosting, you don’t share resources because you have defined memory and bandwidth allocations within your virtual environment. In addition to these advantages, you are never compromised by someone else’s website. It’s also a more flexible solution if your website grows and you need to move to another server – since it’s easier to move a VPS to a new physical server than to transfer the contents of a dedicated server over to a new host. When your website starts getting more traffic. This is the time when it becomes difficult for shared hosting to handle the load, and the performance of your website will start to negatively be affected. The moment you notice that the load speed of your website is becoming slow and/or downtime increases, it is a clear indication that you need to upgrade your hosting plan. Our February 28, 2018 blog post, “The Importance of Getting Your Website Up to Speed,” discusses the consequences of slow loading speeds in terms of bounce rates and lost revenue. Your service provider informs you that you have used all of your allocated resources for the month. This is again an indication it’s time to switch to VPS hosting. Your website contains multimedia-rich content. VPS hosting is essential for consistent, smooth functioning. As an upgrade from shared hosting, VPS allows you to install applications and gain direct root access to the underlying operating system. You receive all the benefits of dedicated web hosting without the related hardware or maintenance costs. You can run specific applications, set permissions, create accounts and determine your customized server environment. Because the VPS environment is secure and protected, each VPS can be rebooted or stopped independently. Security is improved, since if a hacker infiltrates one VPS, there is no access to the others using the same physical server. 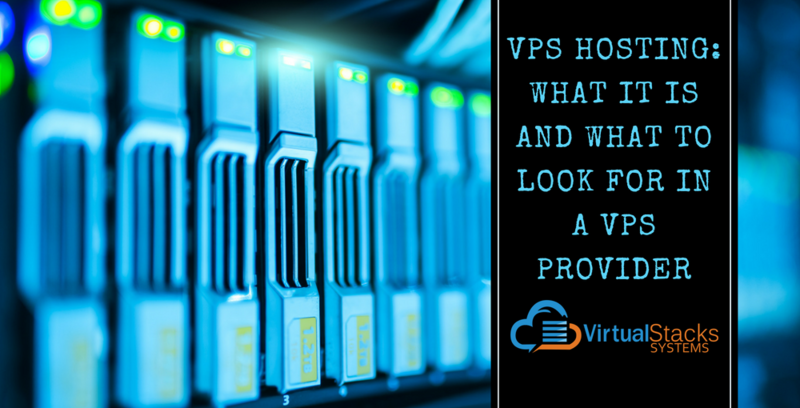 For hands-on web professionals who want a full root-level control hosting service, VPS hosting gives you independence from others on the same server, allowing you to enjoy the control of dedicated web hosting at a fraction of the cost. Business communications company RingCentral provides detailed coverage of this aspect of VPS. Of course, not all hosting providers are created equally, as Tim Strifler explains in the Divi Chat #68.